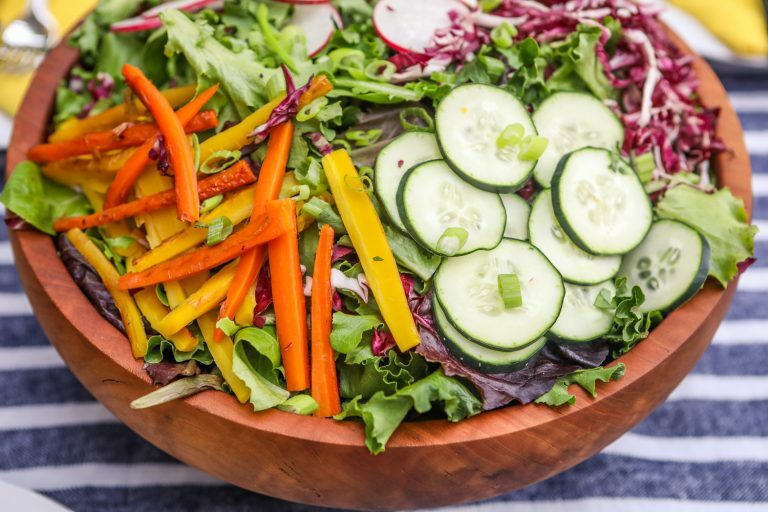 As a holistic health coach and wellness blogger, I generally eat pretty healthy and try to nourish my body with clean, whole foods as much as possible. While I didn’t feel any guilt while pregnant, and this free-for-all way of eating has gotten me by for now, my messy-bun, sweat-pants-donning, caffeinated self has been craving more energy from real food—you know, the kind that comes from Mother Nature. It was time for a change. When I was given the chance to try The Conscious Cleanse—a two-week, whole foods based cleanse—I said ‘yes’ faster than I can down my morning brew. And while your typical juice cleanse isn’t for me (I actually like to eat my food), a “cleanse” on which you can eat as much as you want? That I can get down with. Here’s what happened. The Conscious Cleanse, created by Jo Shaalman and Jules Peláez, isn’t about counting calories, cutting carbs or taking any magical supplements or tinctures. Rather, it’s focused on removing common allergens or foods that may be weighing you down (like dairy, gluten, soy, sugar and coffee) for 14 days, and loading up on clean, whole foods. A life without coffee and chocolate, you ask… but why? The approach is intended to help detoxify your body, jump-start healing and discover what foods work best for you. Plus it’s just for two weeks. For me, that was doable and worth giving up my grass-fed sharp cheddar for, especially since I had done the Autoimmune Protocol Diet in the past (which is no joke). I loved that you’re given an easy-to-follow cleanse manual (chock full of recipes, tips and guidelines) as well as access to a private Facebook group before things kick off. Participants were also encouraged to take mindful daily action steps, including setting an intention on Day One. Mine was simple: Nourish my body with as many whole, plant-based foods as possible and treat my postpartum body with love. During the cleanse, you’re encouraged to start each day with a quart of lemon water, drink a heck of a lot of water and eat whole foods like green smoothies, fresh produce, non-gluten grains, nuts, seeds and organic lean meats. So I ditched the processed stuff (even my “healthy” gluten-free crackers), embraced my inner Michael Pollan and ate food—not too much, mostly plants. I quickly realized how little vegetables I was consuming, and made it a point to fill my plate with as many greens as possible. I also dusted off the ol’ apron and enjoyed putting my own twist on favorite store-bought items – like kale chips, hummus, energy balls and almond milk. I kept it simple with lots of rice bowls, monster salads, soups and smoothies, and also enjoyed several recipes from the Cleanse Manual. Think: Nori Wraps with Tahini Dipping Sauce, Veggie “Fried” Brown Rice and Turkey Lettuce Wraps. The meals were far from boring and I must say, my fridge has never looked more Instagramable than with all the colorful produce on the shelves. Throughout the cleanse, we were reminded of their food philosophy: progress not perfection. When I had a quarter glass of wine and some burrata cheese four days in at a chef dinner party (it had been on my calendar for months), I didn’t beat myself up, and I took my cleanse back up the next day. Confession: I also caved and had a half of cup of organic coffee two mornings because #Momlife. As a new nursing mama, I chose to include some gluten-free certified oats to support milk supply. And I skipped the optional Purification Weekends, designed to go deeper by eating only fruits and vegetables, smoothies, fresh juices and broths. I may not have been perfect, but I was making progress and that was the whole point. Bottom line? The cleanse is about making it work for you and your lifestyle. This isn’t the first time I gave up coffee, but it is the first time doing it as a mom. And while a life without coffee isn’t one I want to live, I realized I don’t need it for energy. In fact, the large mason jar of warm lemon water gave me the energy burst I needed to get through the morning taking care of an infant. Aside from the pounding headache on day one (um, hello caffeine withdrawals), I was lucky I didn’t experience any extreme detox symptoms. I think this is partly due to the fact that I already eat a pretty clean diet, free from gluten or many added sugars. When other cleansers suffered from severe detox symptoms like pounding headaches and fatigue, they were encouraged to increase their water intake, rest or sweat—in the form of a hot epsom salt bath or some movement—to help clear out the toxins. After a few days committed to a clean, plant-based diet and more water intake, I noticed a major improvement in my digestion. Let’s just say my body was doing a great job, ahem, clearing stuff out! On that note, any gas and bloating was pretty much nonexistent during the cleanse. I attribute this mainly to staying hydrated, cutting back on dairy, and being conscious of food combining—like avoiding combining proteins and grains in the same meal. I surprisingly never felt super hungry during the cleanse, since I wasn’t necessarily eating less calories but rather more nutrient-rich food. I found myself no longer needing to reach for a packaged snack at 9 p.m. watching The Bachelor, since my meals filled me up. I won’t lie: Towards the end of the cleanse I started craving cheese and my husband’s Sunday football charcuterie platter made me pretty angry, but I survived. While I wasn’t specifically looking to lose weight on this cleanse, I ended up losing four pounds and noticed that my clothes fit better. I also felt a heck of a lot less bloated (thank you lemon water! ), and even squeezed into a pair of pre-pregnancy jeans. Full disclaimer: They’re stretchy. I’m also a fan of the sustainable 80:20 approach, educating cleansers how to carry out this lifestyle post-cleanse, without giving up burgers, wine or french fries. Because that’s the type of long-term intuitive eating we can all get behind. Interested in how other plans can impact your health? See how this writer fared on an auto-immune protocol diet to treat her low thyroid.